Sri Lanka possesses an extremely high degree of biodiversity and is considered one of the top biodiversity hotspots in the world. This is precisely why you shouldn’t skip going on a wildlife safari at one of the many national parks to try to catch a glimpse of an elusive spotted leopard or see elephants, bears, deer, monkeys, mongoose, wild boar, water buffalo, peacocks and many other beautiful species in their natural habitat. 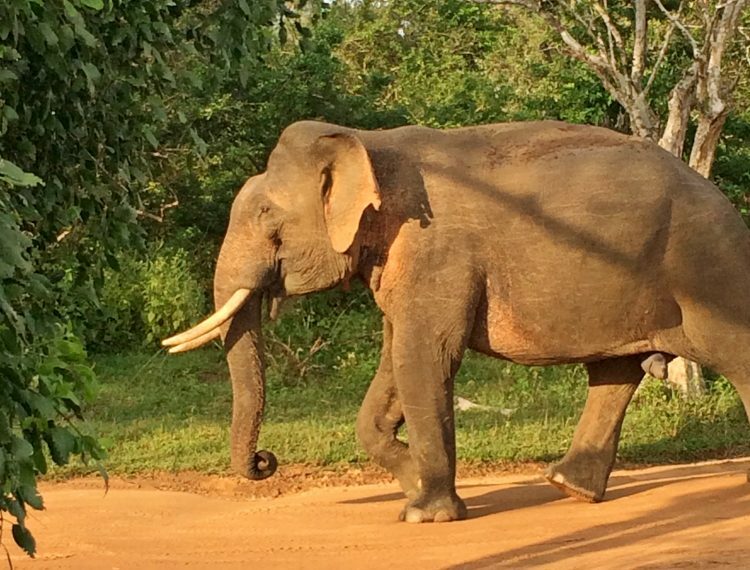 There is no better place to observe an animal than in the wild, and I would highly recommend visiting the national parks in Yala, Udawalawe or Minneriya and Kaudulla over visiting one of the self-proclaimed elephant “orphanages” in Sri Lanka. 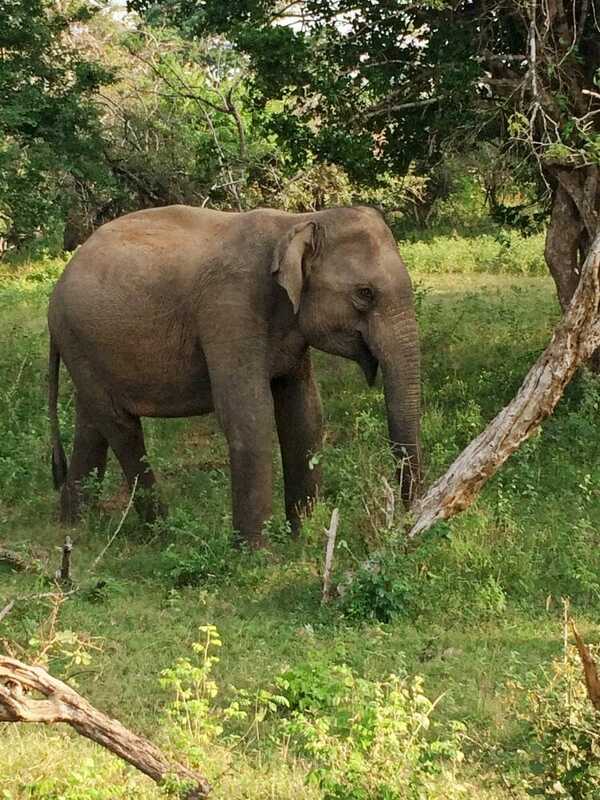 Read more on elephant conservation challenges in Sri Lanka on National Geographic. 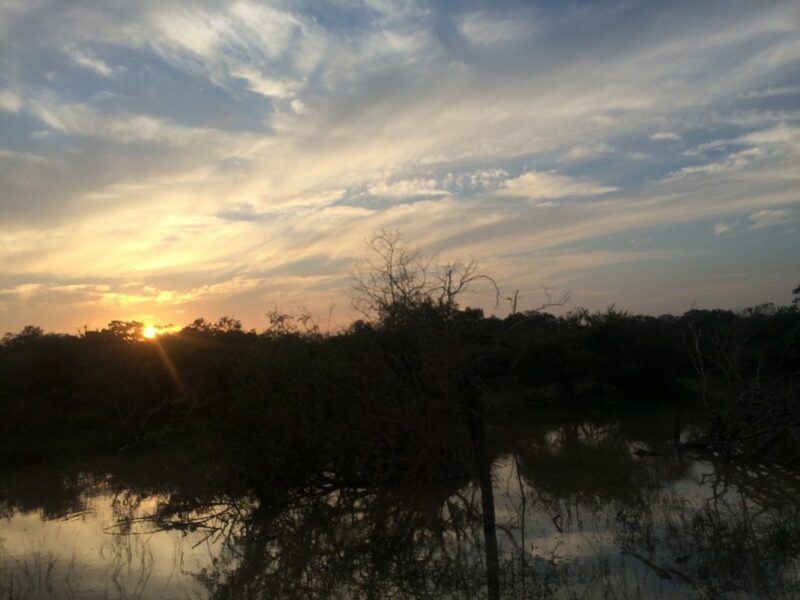 Why should I visit Yala National Park? 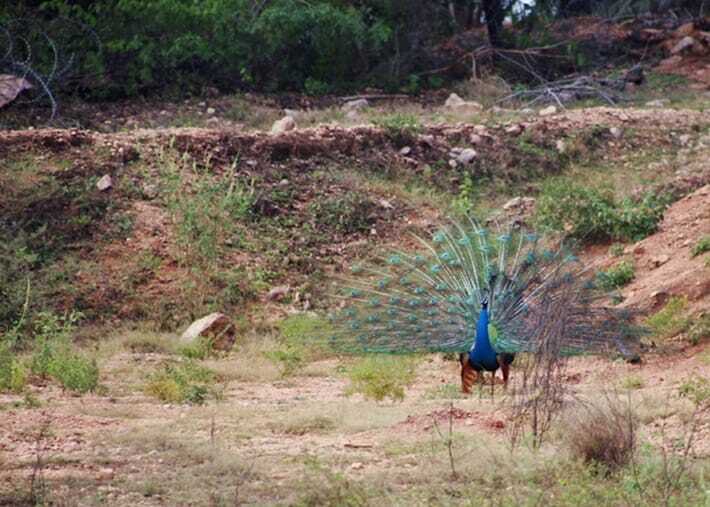 Yala National Park is the most visited and second largest national park in Sri Lanka. 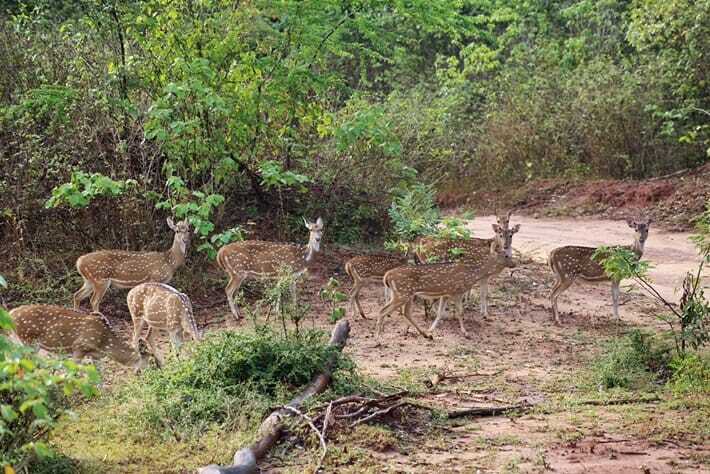 It is located in the south of Sri Lanka and is a popular destination for those hoping to spot a spotted leopard as it boasts one of the highest leopard densities in the world. When should I visit Yala National Park? 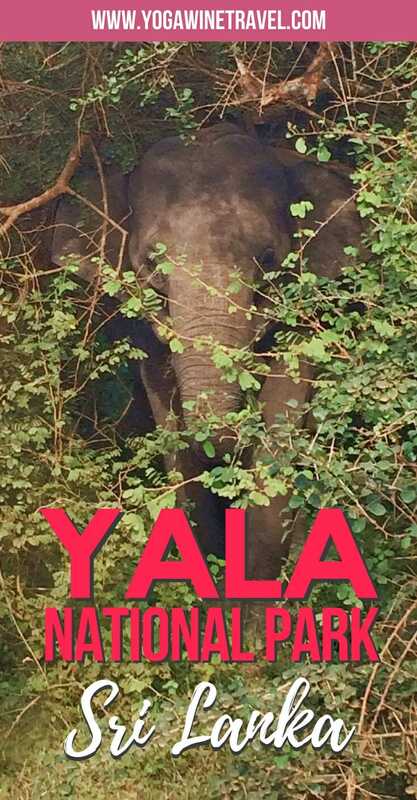 Yala is in a hot, semi-arid environment and temperatures range from 26-30 degrees celsius. 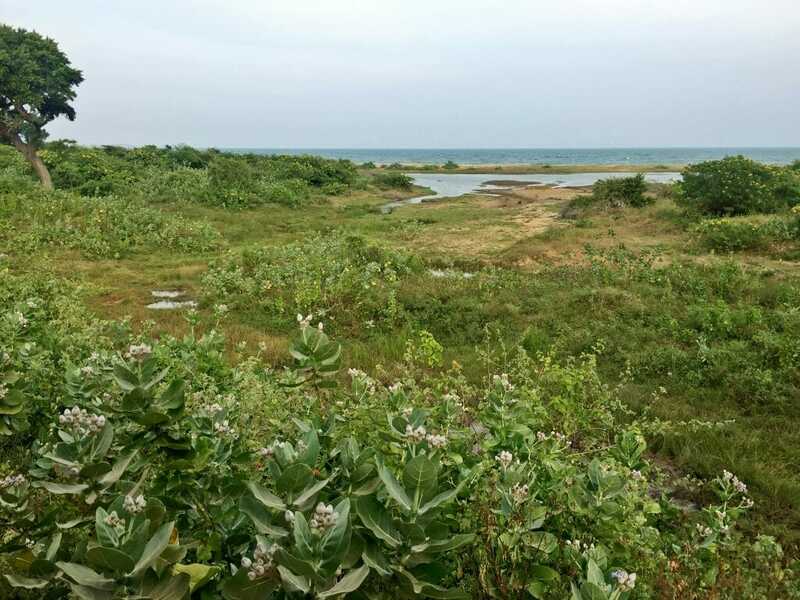 Yala gets most of its rainfall from September to December and the park generally closes for the month of September and the first half of October. The specific dates tend to shift each year so stay tuned to the official website. 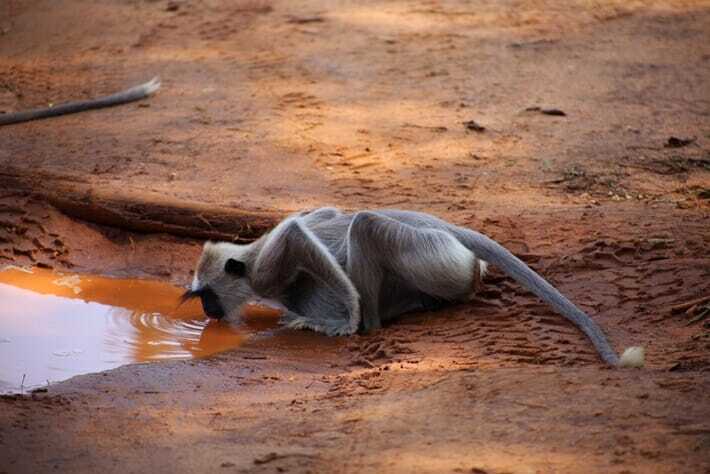 If you are visiting southern Sri Lanka during this time and want to go on a wildlife safari, don’t fret! 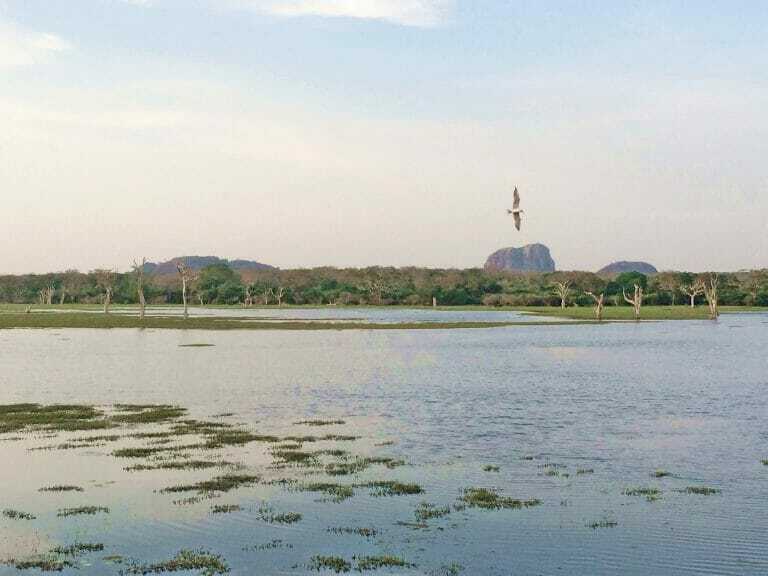 Udawalawe National Park is still open when Yala shuts. 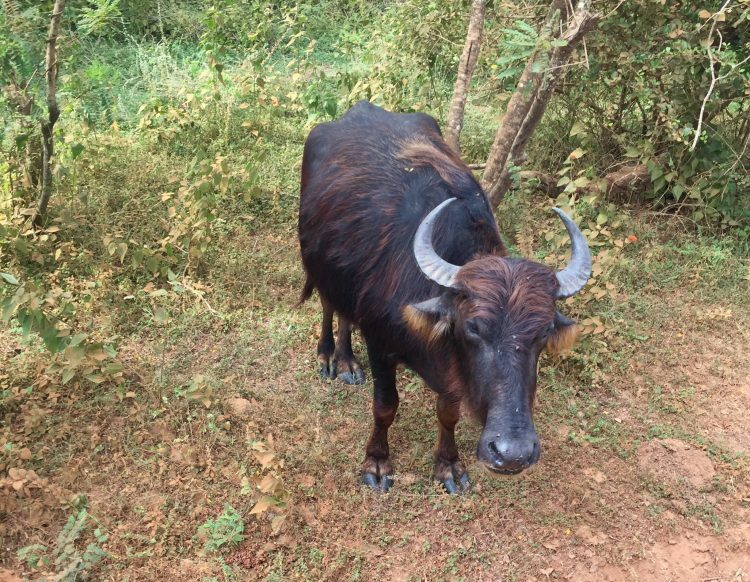 Click here to read my destination guide to visiting Udawalawe National Park! I’ve been to Yala three times, once in 2015 and twice in 2017. We’ve spotted elephants, deer, monkeys, crocodiles, peacocks and more, but a grand total of zero leopards; that being said, I still cannot recommend the experience highly enough. The best way to get to Yala is by car: I previously booked a half day afternoon safari with Ajith Safari Tours and they organized hotel pick-up and drop-off at a reasonable price (US$70 for a 3 hour transfer each way) and had newer and cleaner jeeps than a lot of the other safari companies we bumped into in the park. You can either do a day trip to Yala or stay overnight. If you plan to do a day trip to Yala, your best bet is to stay in the Southern Province. The southern coast of Sri Lanka has beautiful stretches of beach and you have tons of options for places to stay. Shangri-La’s Hambantota Resort & Spa and Anantara Tangalle are excellent five star properties with amazing restaurants and service. If you’re looking for something more low key, check out Talalla Retreat, the perfect place for surf and yoga, or Zephyr Talalla, a beautiful boutique 4-bedroom beachfront villa serving up the best food & cocktails. If you plan to stay overnight, there are a number of boutique hotels and tented safari camps. I stayed at Jetwing Yala in October 2017 and loved the property. The rooms are spacious, the food is delicious (they have 2 restaurants and a beautiful cocktail bar), beach access as well an incredible pool. Wait for it – the pool has a swim-up bar! So you can lounge by the pool with cocktails after your morning safari. Click here to book your stay at Jetwing Yala! Looking for some other options in the Yala area? Click here for more accommodation options in Yala. Which safari tour should I do and how much does it cost? 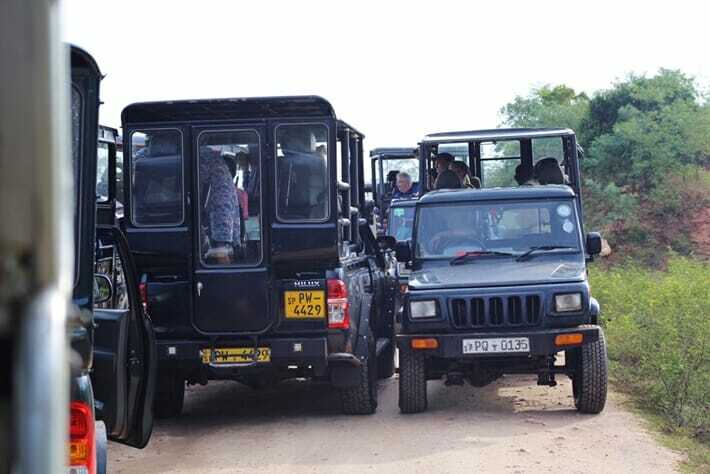 A safari costs anywhere from about $50 to $110 per person depending on which tour option you go with and how many people are on the tour, which is why you should aim to fill the jeep with 4-6 people so that each person pays a significantly lower price. Tips are discretionary. We tipped our guide and spotter $10 USD each as we had a great time. What can I expect from a wildlife safari in Yala National Park? Once you get to the park, you’ll be driven to the ticket office where your driver will need to queue up and pick up everyone’s tickets. The ticket office is often busy so you might find yourself sitting and waiting in the jeep for 15-30 minutes. This is also where you will pick up your local spotter, who is tasked with keeping an eye out for all types of animals – birds, reptiles, mongoose, elephants and even crocodiles. Our spotter was very skilled and on many occasions pointed out animals we had completely missed – an eagle perched high up on a tree, a baby elephant peeking out from behind the bushes, and even a massive crocodile laying motionless at the bottom of a lake. Update October 2017: It appears that some safaris no longer offer a spotter – instead the driver will spot as well as drive. The drive through the massive park can be bumpy and rough, and roads can be fairly narrow with trees and and lots of vegetation on either side of the path – if you have been on safaris in areas with wide open plains like in Africa then this may feel a little different. Because the paths are relatively narrow, there can also often be “traffic” in the park, especially if an animal has been spotted. 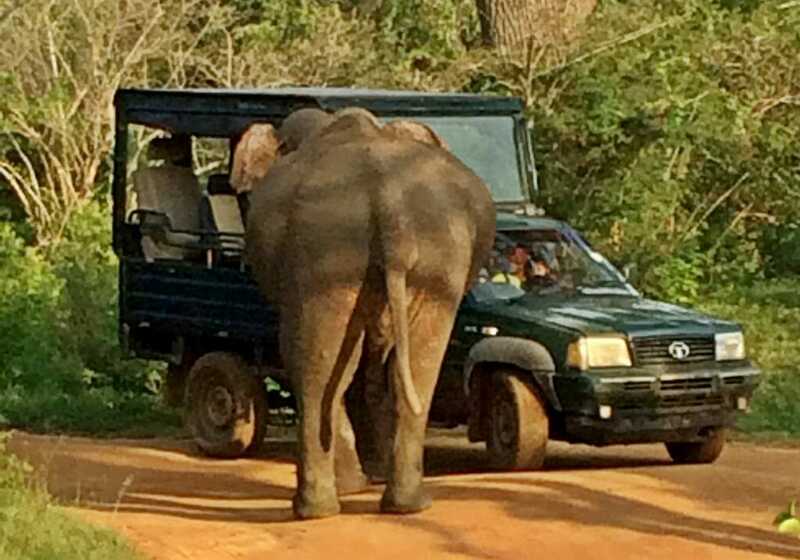 On our first safari, another safari company’s jeep got too close to a massive elephant with tusks and it was absolutely terrifying: the elephant inserted its tusks through the open sides of the jeep and pulled out a handbag and bottled water before proceeding to stomp on it excitedly. The young mother was hanging out of the other side of the jeep and holding onto her baby. Fortunately the elephant lost interest and the jeep drove off, relatively unscathed. This is an example of why it is extremely important to go with a company that abides by park regulations and keeps a safe distance away from the animals. To my fellow small bladder buddies, you should know that there aren’t really any opportunities for bathroom breaks. You have been warned. 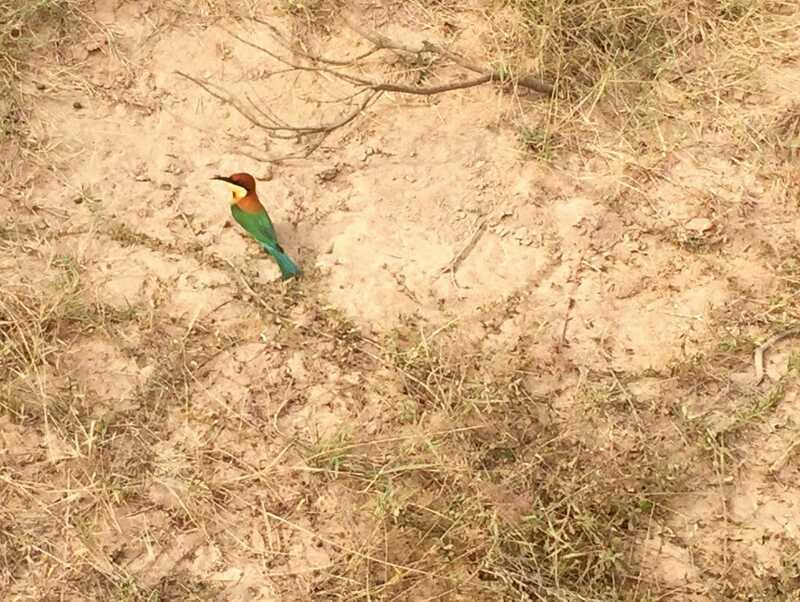 Yala is a paradise for wildlife photography. Bring a camera and zoom lens if you have one, or snap away with your phone. Just make sure you turn the flash off! Bottled water and a snack – peanut M&Ms are a great option. Just sayin’. Remember to take all your trash with you! You shouldn’t need sunscreen as most jeeps are covered at all times and you’re not allowed to step outside the vehicle while you’re in the park (except for a brief pit stop at the beach). A hair tie or cap as the drive can get quite dusty. At the end of a 5 hour safari my hair felt like it had a desert-full of sand and dust in it. Have you been to Yala National Park or Sri Lanka? What did you think? Share your experience with me in the comments section below! I soooo want to visit here! 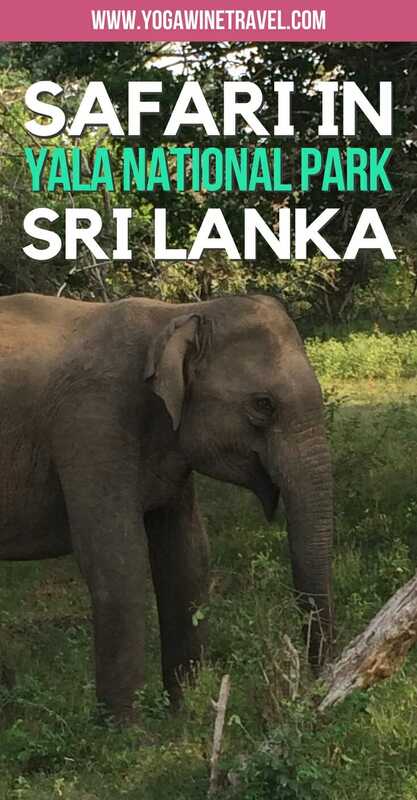 I never considered Sri Lanka as a place to visit, but your post has made me want to go to see some wildlife! I love how detailed your guide is and very organized. Thanks for this! I’ve heard great things about Minneriya as well! It’s super close to Sigiriya so it’s a great place to go if you’re visiting the area. I definitely want to do another safari there but stay the night before so that we can go early in the morning. This is a wonderful guide! Super informative. I missed Sri Lanka when I went venturing to Southeast Asia and I really regret it. I’d love to do something like this. What was the favorite thing that you saw when visiting the park? I absolutely loved seeing elephants in the wild! If you go in the morning you have a better chance of seeing a leopard, but I was there to see wild elephants 🙂 Let me know if you make it over to Sri Lanka! Hey Erica! My thoughts exactly! There have been too many cases of animal abuse towards animals held in captivity. This is a national park so it’s not a “zoo” or “animal park” – the animals here are all wild! Hope you get to make it one day soon! Wow this sounds like a great experience. I can’t imagine being that mom with the baby. You are right it is so important to research the company so that you will be safe. You are literally putting your life in their hands! Exactly! There are so many reasons why you shouldn’t get too close to the animals – THEIR well-being & YOUR well-being. 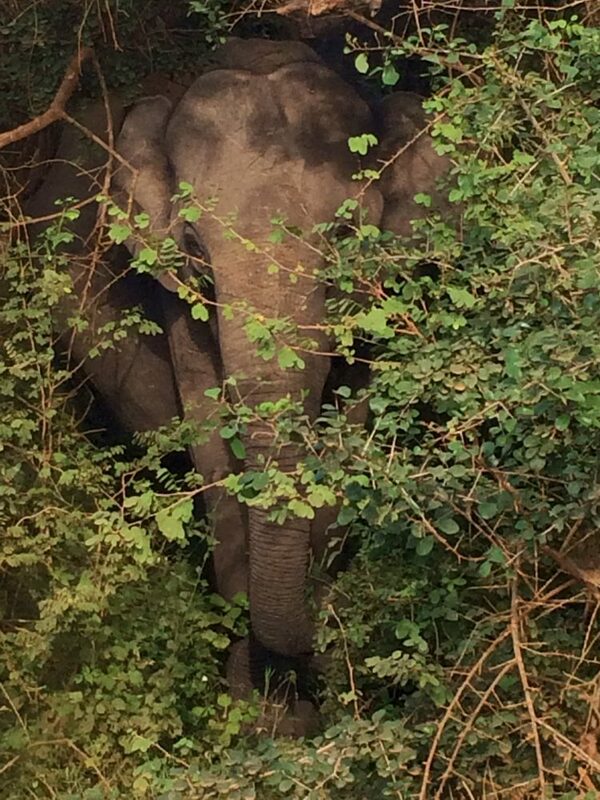 I have never done a safari and I had no idea that you can do them in Sri Lanka too. The Yala National Park looks amazing and it doesn’t seem that expensive either. I agree with the National Park’s warning, we should blend in and not disturb the animals. We are just visitors in their home. Exactly, Joanna! I think it can be really stressful for animals when there are tons of trucks following them full of people trying to snap a pic. The park is really well run, let me know if you ever make it! Oh, my goodness: what an amazing experience! I’ve always wanted to go on Safari but still not made it. 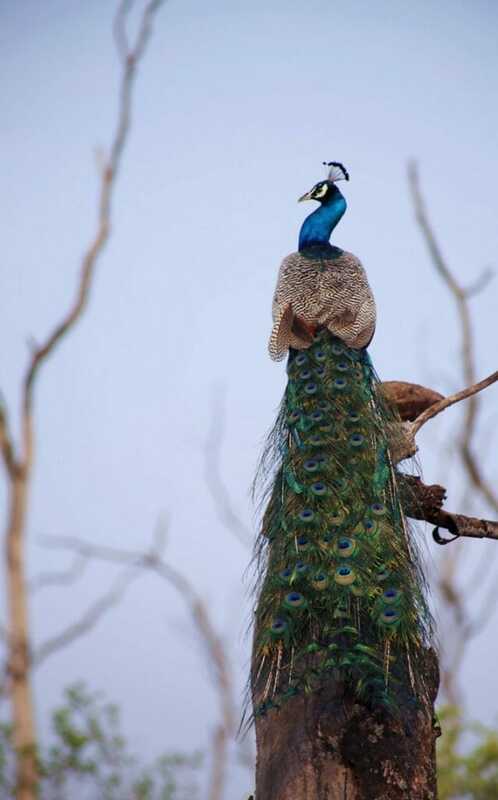 It must have been incredible to see animals from so up close and I love the shot of the peacock! It’s so unreal! There was a massive crocodile as well but I failed to catch it on camera haha. I haven’t been to Sri Lanka yet but I’ll definitely have to check this place out when I’m there. Go on a safari has been on my bucket list for sooooo long now hehe. Love your photos too!!! Thanks so much Johna! 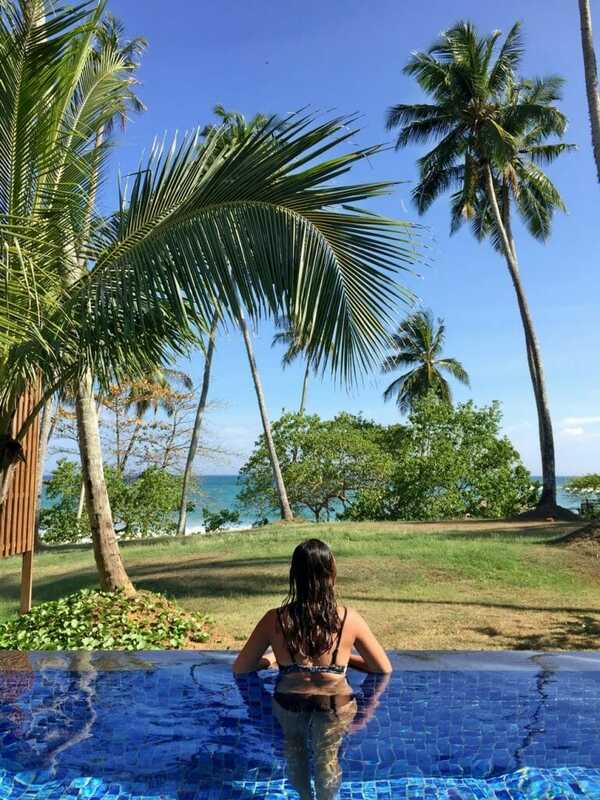 You definitely have to visit Sri Lanka – it’s seriously amazing! Sri Lanka has been high on my wishlist. It’s strange how I have not yet got a chance to visit the country even though I am Indian. Hope to go there sometime. Thing is, I generally visit India only once a year in December..which places would you suggest visiting at that time? How come the companies that do not abide by the park regulations are still able to enter the park? I remember watching Discover Channel a few months ago when they talked about how scary elephants can be when they’re aggravated, especially when their young’ns are close by. That company’s lucky their customers were unharmed! 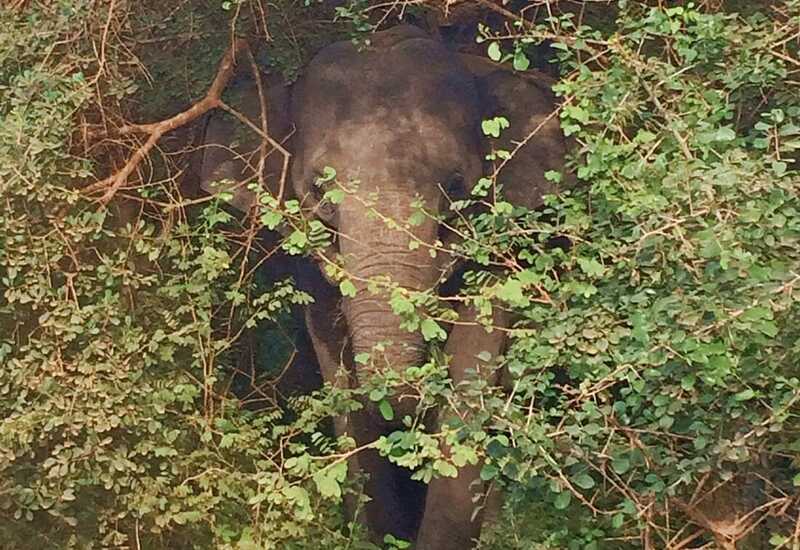 But AW the baby elephant in the bushes <3 This looks like an awesome experience and it's not even that expensive- definitely on my list when I visit Sri Lanka one day! I really hope you make it to Sri Lanka one day Ivy! I think the issue is mainly that the park is SO big therefore not every single area can be patrolled and regulated at every moment, so unless the park authorities receive complaints it’s difficult for them to know about infringements. Visiting in December and was wondering about the leopards. Since I’m seeing elephants in Bali and have a short stay in Sri Lanka, I wanted to hopefully see a leopard. Ooh I’m sure you’ll have a great time, Nicki! Feel free to contact me if you ever want any recommendations for Sri Lanka. I’m hoping to visit Sri Lanka next year so found your post helpful. Yala national park looks amazing! It’s a shame you didn’t see a leapord but I suppose it’s an excuse to go back! Exactly, Tasha! I’m definitely doing a morning safari next time! So lucky, Ellis! I’m very jealous. It’s so important not to disturb the animals! Sri Lanka’s been on my travel hit list for some time so I’m hoping to tick it off within the next year or two. Definitely bookmarking your great guide as I love visiting national parks and have a bit of a soft spot for elephants ? Wow, I’d really love to visit this place! Sri Lanka has been on my travel bucket list for quite a while! 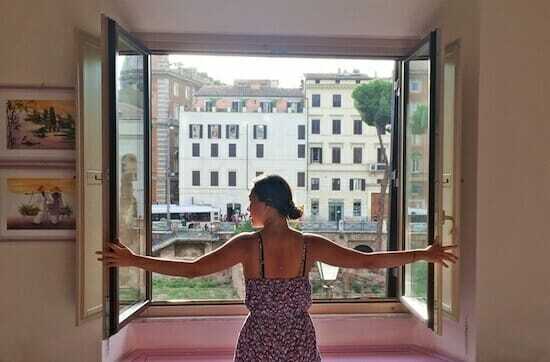 Need to find the right time to go! Post like this have put Sri Lanka on my radar. Thanks. Glad to hear that, Stacey! Thanks for checking this out! 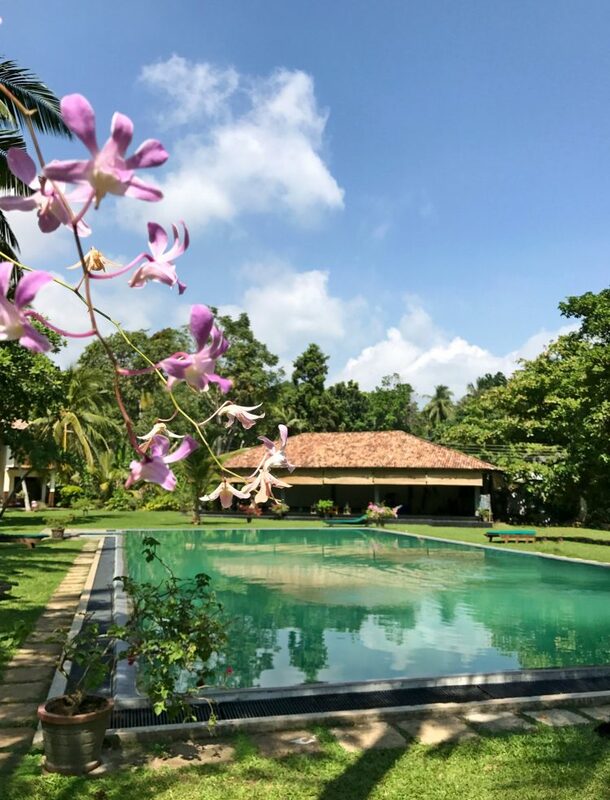 I have other Sri Lanka guides and tips to help you plan your trip – I hope you make it to beautiful Ceylon soon!